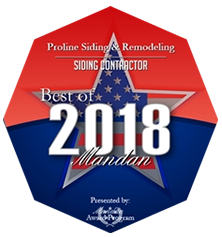 About - Proline Homes Inc.
Proline Homes has been building and remodeling homes in the Bismarck, Mandan area since 1999. Our goal at Proline Homes is to help you design and build your dream home and to make the process as easy and enjoyable as possible for you throughout all the phases of construction. The owner, Greg Joblinski, has lived in the Bismarck-Mandan area for over 40 years and has been in the construction industry for over 25 years and knows all the in’s and out’s of the industry. Our excellent reputation and list of satisfied clients attest to our superior craftsmanship, attention to detail, clear communication, honesty, and integrity. Our company is based on the belief that our client’s needs are of the utmost importance. We would be honored to have the opportunity to earn your trust while building you your dream home. Contact us today!